Sharon Shea delves more deeply into data collection and provides baseline tools to help you to use your data for planning. She is joined by Naomi Reid and Paulette Lewis from Te Rarawa Runanga who share real-life stories about using RBA for making change in their community. The ‘Introduction to RBA™’ webinar introduces the RBA™ methodology, explaining how it can be used to show the impact of your work. 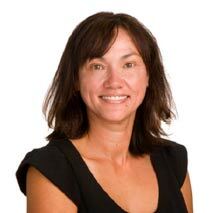 Sharon Shea (Ngāti Ranginui, Ngāti Hine, Ngāti Haua, Ngāti Hako) is widely recognised as a leader in the field of health sector strategy, outcomes framework development –applying Friedman’s Results Based Accountability™ Framework2- project management, change management and systems design.